Earning this credential identifies DMC Canotec as a business that meets or exceeds the best business practices the IT industry has to offer. To earn the CompTIA Managed Print Trustmark, DMC Canotec was evaluated on the internal practices and procedures we use to run our business and the external activities and operations they engage in with customers and prospects. 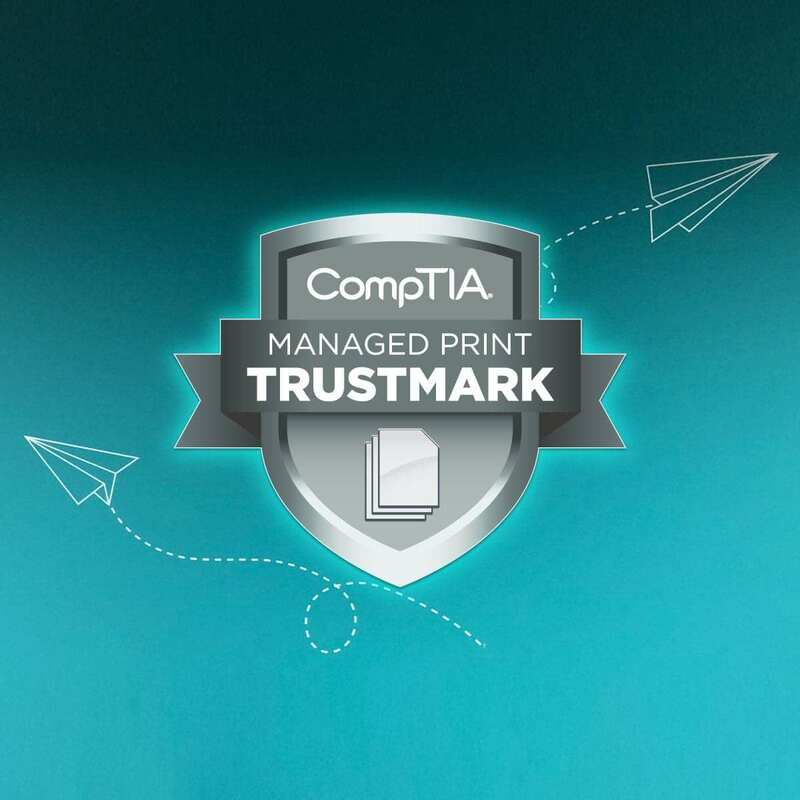 The CompTIA Managed Print Services Trustmark offers our clients peace of mind–knowing that we employ industry best practices and tools to keep your printing fleet up and running. It also confirms our commitment to quality, assuring our customers that we have what it takes to help them succeed. We are therefore pleased to announce our achievement of the CompTIA Managed Print Trustmark. This supports our commitment to providing top quality managed print services, using industry best practices and serves as a reference to the quality of the solutions we provide and the commitment we make to our customers. To discover how this accreditation can benefit your organisation please visit our Managed Print Services page or read some of our Customer Stories. CompTIA is the voice of the world’s information technology (IT) industry. Its members are the companies at the forefront of innovation, and the professionals responsible for maximising the benefits organisations receive from their investments in technology. CompTIA is dedicated to advancing industry growth through its educational programs with organisations such as Apple and Microsoft, market research, networking events, professional certifications, and public policy advocacy.